Villapark “De Paardekreek “ is just 5 minutes walking distance from the Veerse Lake. The park is playfully arranged with a water pace, whereby a rowing boat and canoe has entrance to the Veer Lake. The facilities of the neighbouring 4**** camping site‘Zeeland Camping De Paardekreek’ are accessible to the villa’s tenants. There, among other things, you will find a children’s playground, a shop and a restaurant. 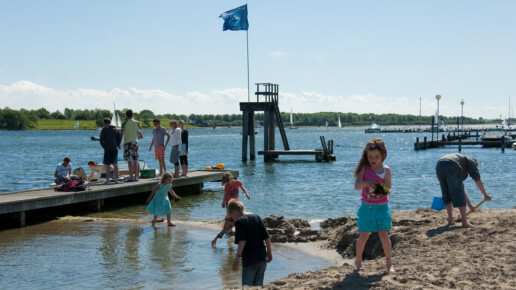 During the summer there is a covered swimming pool for the children and a small piece of beach along the Veer Lake. A tennis court, the possibility to surf-sail-water ski and wake board lessons are all available. Then the possibility to hire boats, pleasant days on the water or fishing, because trout and eel are largely present. The facilities are located on the neighbouring camping-site. 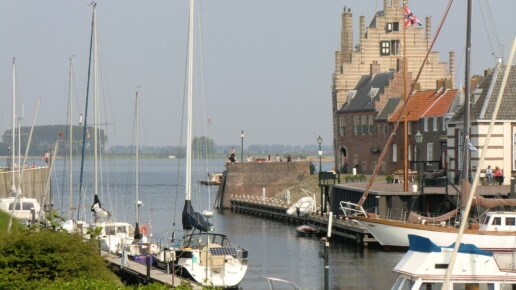 Kortgene is situated at the Veerse Lake (Meer) central in the province Zeeland. The Veerse Lake is an endless area for everyone who loves water. But even for hikers and cyclist there are many possibilities. The closely situated forest is a wonderful place to enjoy the wonderful nature. The park is an excellent starting point for trips in the area. Old towns like Goes, Veere, Zierikzee and Middelburg, Waterland Neeltje Jans and the Arsenal in Vlissingen will complete your holiday.